LOOKING AT THE entire RV industry, the motorhome sector is a story of the development of some sophisticated machines from very humble beginnings. Some of our longest-surviving motorhome manufacturers – Winnebago, Sunliner and Trakka – all started off rather small, working with either VW Kombi conversions or slide-on campers (when they were much more popular). And as with many other manufacturers, these initial conversions were often basically backyard operations. 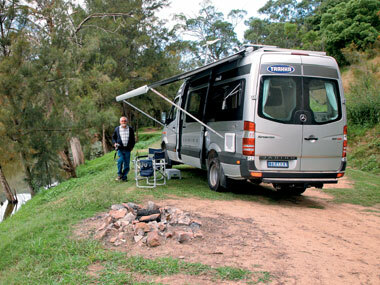 One of the interesting oddities about the RV industry is that while much of the caravan manufacturing sector is based around Melbourne, motorhome manufacture is much more widespread, with several based in Sydney. Two of these Sydney-based manufacturers, Trakka and Winnebago, were kind enough to let me rummage through their old files and check out some of the industry’s rough and ready beginnings. 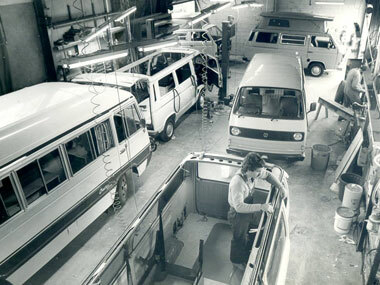 Trakka’s original founder Dave Berry, who is still heavily involved with the business, had his interest in motorhoming piqued early when he and his brother regularly used their father’s VW Kombi. Dave had always had an interest in cars and all things mechanical and upon leaving school in the early 1970s he became an apprentice cabinet maker – a starting career for more than a few people in the RV industry. 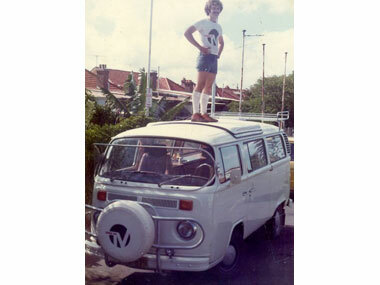 It was this job that lead him into the campervan business, using trusty Kombi vans as the base vehicles in the early days. Dave reckons a van cost about $3000 back then, with the fitout about $1500 on top of that. Many of the buyers in those early days were either families with young children (this writer knows a few of them today as travelling grandparents) or young people looking to get out on the open road. They often bought a partly-converted van and did the rest of the work themselves. Over the years, lots of knowledge was gained from user experience. Dave believes he spent more time travelling in a campervan than he did in a normal car, which continued after he met his wife Sally a couple of years after starting the business. One of Dave’s early Trakka projects was perfecting the pop-top roof. That might sound a bit odd now, but older designs were quite tall and unwieldy in their operation. Dave developed a new lifting mechanism to go with a lower profile roof. While we take swivelling cab seats for granted these days, they were non-existent in 1976 and, according to Dave, Trakka was the first to develop them. They were also the first to introduce a swing-out cooktop, an idea that came across from the UK. Following on from the VW Kombi, the Toyota Hiace came along as a successful conversion prospect. But because of its front-engine position, the Hiace wasn’t quite as flexible as the VW. The advantage of the front engine, however, was the ability to ‘walk through’ the back of the van, something which had become quite big in the RV industry at the time. While pop-top campervans were the Trakka mainstay for many years, the company did try its hand at a few cab-chassis coaches at a factory in Qld. Despite using some rather unique vehicles, like the Mercedes-Benz Unimog, the company did considerably more conversion work on Toyota Coasters, which were relatively expensive to buy new. But it was the early-90s Australian arrival of the Mercedes Sprinter that changed the game for everyone in the industry, Trakka included. The Sprinter not only provided a more comfortable and car-like cab chassis, but the large units bridged the gap between the campervans and motorhomes. Other European truck manufacturers quickly followed suit and Trakka lead the charge with the Fiat Ducato, a manufacturer that subsequently built dedicated cab chassis for motorhomes. Trakka soon became a serious coach manufacturer. The early 1990s was also the time when the Trakka team moved from its Neutral Bay (north Sydney) operation to its purpose-built premises in Mt Kuring-gai (outer northern Sydney suburbs). One of Trakka’s most unique claims within the industry, one few companies can lay claim to, is taking part in the Australian Safari for several years. The inaugural race took place in 1985, and by 1990 Trakka’s VW camper won the Production Class. “It gave us 10 years of testing in two weeks,” Dave said. 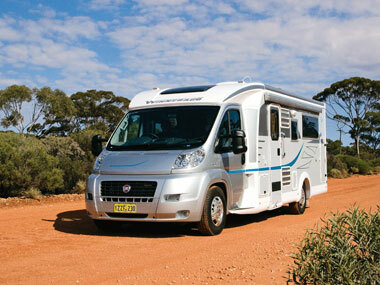 It likely doesn’t come as a surprise to many that Winnebago is the largest motorhome manufacturer in Australia. What may be a surprise, however, is that the local company actually has nothing to do with its US-based namesake, and is a purely Australian operation. 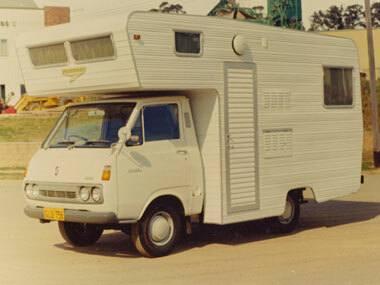 Owner Bruce Binns and his wife Ruth originally ran a joinery/building business in Thornleigh, Sydney, but when the couple took a three-month holiday around the US and Canada in 1965 they got an up-close look at the North American RV lifestyle, particularly motorhomes. Upon returning to Australia, Bruce decided to build a slide-on for his Holden ute to enjoy similar travel around Australia. 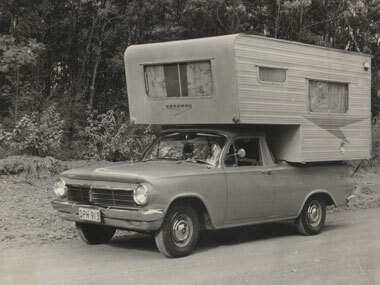 This slide-on was rather successful, and when Bruce’s camper started garnering some interest, he was soon taking orders and building similar units on a one-off basis. The base vehicles in those days included Holdens, Fords, Valiants and even BMC utes. 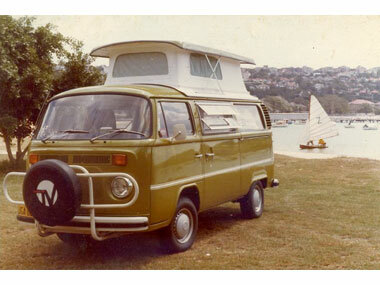 Demand soon outstripped supply and in 1972 Bruce became a full-time builder of slide-ons and motorhomes, as well as campervans and caravans, under the name Freeway. By this time base vehicles had evolved somewhat. The Toyota Hiace cab chassis was quite common, as were Holden One Tonners and Ford Transits. A few Dodge cab chassis were also used. By 1977, 20 per cent of the company’s manufacturing was devoted to retail operations and 80 per cent to a rental fleet. Financial problems almost caused Freeway to close in 1977, but orders from other rental operators kept the business afloat. It was not long after that Bruce acquired the Winnebago name, moved to a new factory and concentrated on exclusively building motorhomes and slide-ons. The first A class motorhome rolled off the production lines in the early 1980s, kicking off a whole new Winnebago line-up. Toyota and Mitsubishi trucks were used for base vehicles, something that continued for many years until Isuzus became the favoured base. This lasted until the arrival of the Europeans, with their Benz Sprinters, Iveco Dailys, VW Crafters and Fiat Ducatos. Mazdas and Ford F350s were also tried at different times. “To take away the caravan look.” The Winnebago RV Club, which raises money for the Royal Flying Doctor Service, in addition to being a social organisation, was another great initiative. As the 21st century got under way, 2001 was a definite highlight year for Winnebago. The company moved to its new factory, where it is remains today. The 10-acre site offers a great deal of space for large vehicles, as well as a production line, and a large service and spare parts centre. 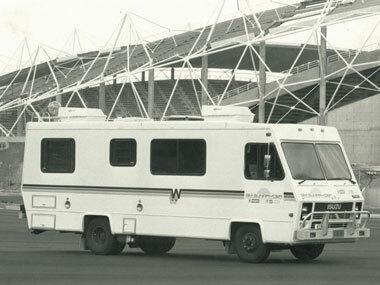 One of the more interesting Winnebago claims to fame happened prior to the 2000 Olympic Games in Sydney. The company was asked to manufacture three purpose-built A class motorhomes to act as support vehicles for the Olympic torch as it was taken around Australia. The Winnies can be seen in the background of many publicity photos taken at the time. Today, Winnebago manufactures everything from its Ducato-based Escapes, to multiple models of B and C class motorhomes, as well as its flagship A class Classic. Looking at the motorhome market today, it’s heartening to see so many family connections. In Winnebago and Trakka’s case, family members are taking an active role in the business, which is also the case at several other motorhome manufacturers, including Sunliner, Paradise and SLR. The fact all these years of experience are being passed on in a practical way is very positive for the future of Australia’s RV industry. 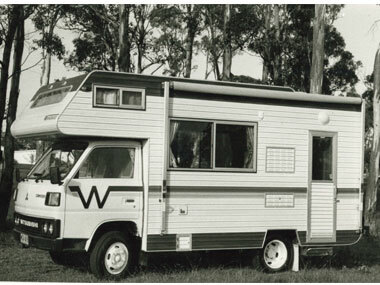 Trakka's early pop-top roof; a young Dave Berry; Trakka's early production line; Winnbegaos before fibreglass panelling (2); Freeway slide-on and an EH Holden – the very early days of Winnebago; the recently released Winnebago Eyre; Trakka's modern Jabiru. Share your motorhome stories below.